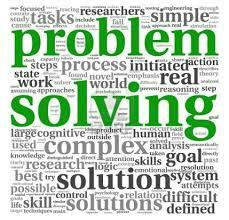 How Good Are You At Problem Solving - Want To Find Out? We’ve chosen a rule that some sequences of three numbers obey — and some do not. Your job is to guess what the rule is. Now it’s your turn. Enter a number sequence in the boxes below, and we’ll tell you whether it satisfies the rule or not. You can test as many sequences as you want. I don't want to play; just tell me the answer.